Injuries cause all kinds of problems. These accidents produce questions. "What should the other driver's insurance pay for?" "Should you get a rental car?" "What if the injuries are permanent?" "What about my lost income?" "What about my future medical expeneses?" Call us. We will answer your questions. We do not charge a fee to answer these questions. There is no obligation. If we can add value, we will tell you that and how. If we cannot, we will tell you that and why not. We can help you avoid common mistakes that can cost you thousands of dollars. The insurance adjuster works for the insurance company; not for you. Call now to get the information you need to make good decisions about your claim. 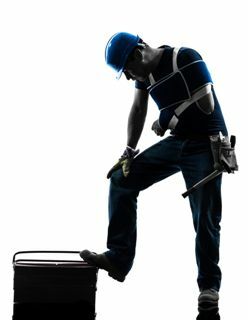 Workplace accidents cause problems, as well. These problems produce questions. "Who will pay my medical bills?" "How can I pay my bills if I am not working?" "Is my claim set up correctly?" "Is my claim being set up for my benefit or theirs?" "Do I have to see their doctors?" "I am fed up. Can I quit my job?" [No, call us first.] "I like my job. I don't want to sue my employer. What else can I do to protect myself?" "What is the value of my claim?" "The insurance adjuster has been nice so far. Will they give me a fair settlement without a lawyer?" It is best to give us a call. We will answer your questions. We do not charge you anything to answer these questions. You are not obligated to hire us. If we can add value, we will tell you. If we cannot, we will tell you that, too. Many people make mistakes that can cost them thousands of dollars. The insurance adjuster works for the insurance company; not for you. Call now to get reliable information so that you can make good decisions and protect yourself and your family. Divorce causes all kinds of problems. We solve those problems. We can help you protect your assets and your access to what matters most-your children. First, we help you prepare and plan. Then we find every inch of common ground we can with your former spouse. We will agree on all we can in order to reduce the emotional and financial impact going forward. We have helped people just like you who are going through divorce. We can help solve the problems that divorce produces. Call now to schedule a consultation. At your consultation, you will develop a specific plan of action. Divorce attorneys protect your rights, assets and access to your children. We can provide immediate, experienced, aggressive and strategic assistance and help you protect what matters most. Call or click to set up a consultation with an experienced, professional and effective divorce lawyer today. Workers compensation lawyers at Speaks Law Firm are experienced, professional and effective. We can help you get the medical treatment, benefits and settlement that you deserve. Call now for a free consultation. We can answer many of your workers compensation questions quickly over the phone. We provide free information. You can call 24/7. There is no obligation. When you search "Wilmington Personal Injury Lawyer Near Me", we should come up in the search results. We are here to give you reliable information so that you can make good decisions. If you have been injured in auto, workplace or other accident, we are available to answer your questions. We are nationally recognized for our experience, professionalism and results. 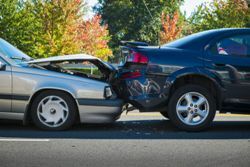 We help people who have been in accidents recover fair compensation. Call today with questions about the process in general or your claim in particular.